Joyce Epley Toney, age 81, of Lake Lure, went home to be with her Lord & Savior Jesus Christ Friday, January 18, 2019, at her home. She was the daughter of the late B. B. Epley and Lula Haynes Epley and native of Rutherford County. Joyce was the widow of the late David Hicks Toney. She was a member of Big Level Baptist Church and a longtime member of Hickory Nut Gorge EMS & Rescue. 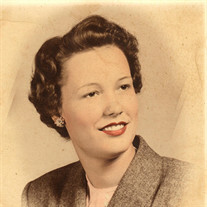 Joyce was a loving wife, mother and grandmother. The Funeral service will be at Big Level Baptist Church at 3:00 PM, Sunday, January 20, 2019 with Reverend Robert Orr officiating. The body will lie in state 30 minutes prior to the funeral. There will not be a formal vistation. Interment will be at Big Level Baptist Cemetery, Mill Spring, NC. Guest register online at www.mcmahansfuneralhome.com.. McMahan's Funeral Home & Cremation Services in charge of arrangements.